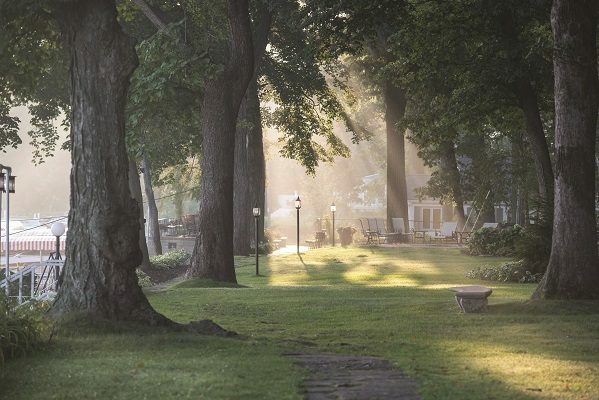 Early morning light filters through the trees along the Geneva Lake Shore Path just east of the Lake Geneva Yacht Club. 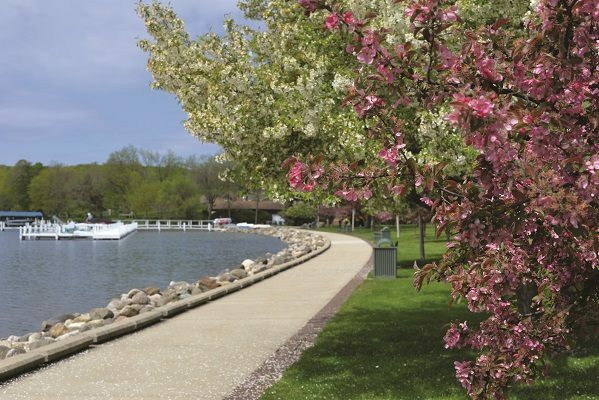 A sure sign of spring – the lilac trees in full bloom along the Shore Path adjacent to Lake Geneva’s Library Park. A portion of the Path on the south shore near Fontana is paved in flagstone and landscaped with a rock wall and a bed of irises. 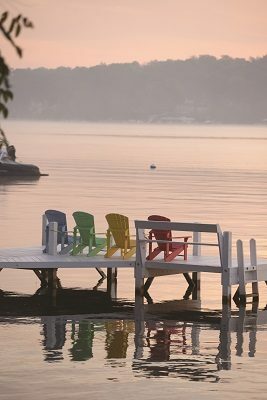 A peaceful setting that evokes thoughts of lazy afternoons at the lake greets those walking the Shore Path near Conference Point in Williams Bay. 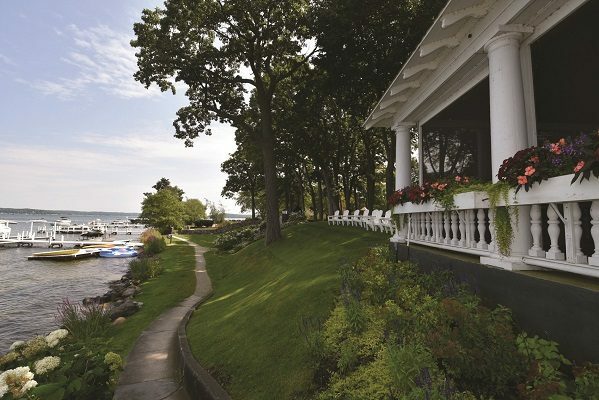 The Shore Path winds its way along the water’s edge bordering Harvard Club, a picturesque combination of lake homes and open space established in 1875 on Geneva Lake’s south shore. 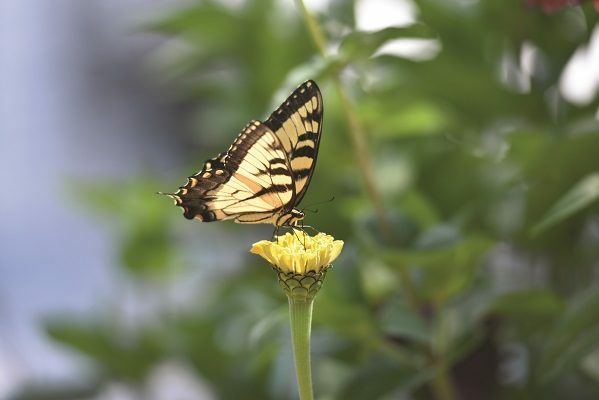 Flora and fauna is in abundance along the entire length of the Shore Path. This section near Buena Vista Club is particularly colorful when summer’s flowers are in full bloom. 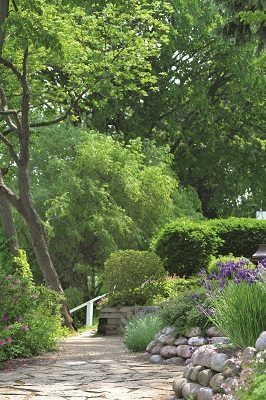 The Shore Path north of Fontana features dappled sunlight yet a mixture of plants and flowers to enjoy. 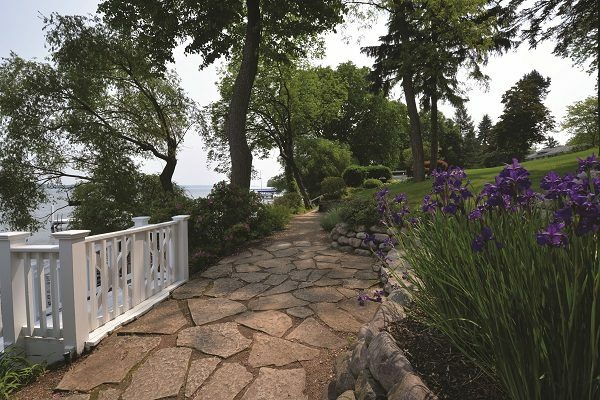 The Geneva Lake Shore Path, especially when the weather begins to warm and the smell of freshly cut grass hangs in the air, has a timeless feel about it. Along the water’s edge, its landmarks, whether a familiar footbridge, limestone walkway or hundred-year-old-oak greet those who pass year after year. For generations, as springtime emerges, hikers begin to reappear on the path. 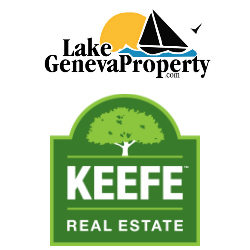 On one side, Geneva Lake’s crystal clear waters shimmer in the sunshine; on the other, manicured lawns and gardens meet stately mansions and lake homes. There are those who are in deep thought, hiking to find solitude and peace. Others walk in groups and are in animated conversation as their voices echo across the lake. But all seem to understand one thing: this ancient path is a window to the past. Some stop for a moment to reflect, some perhaps to consider who came before them on this journey around the lake. 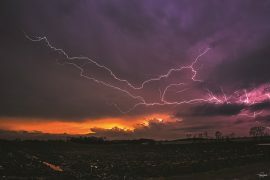 As remarkable as it seems, early settlers recognized the importance of this age-old trail and persevered to ensure the shoreline would be accessible to all. Over the years, many landowners have chosen to maintain the path through their properties to guarantee hikers have a clear walkway and vistas of unmatched beauty. 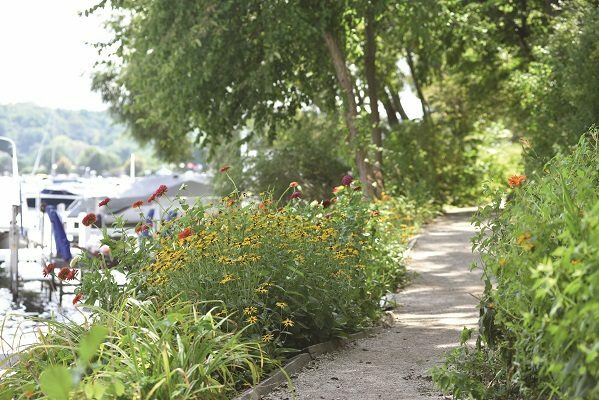 The Path’s 21.5 miles takes most eight to 10 hours to walk, but many have favorite segments that don’t require as much commitment of time and energy — Lake Geneva to Chapin Road, Williams Bay to Fontana, Shadow Lane to Big Foot Beach, or places in between. 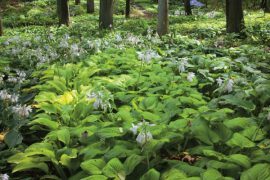 Whatever portion they choose, hikers recognize the rare nature of this public access lakeshore path that is centuries-old, yet discovered anew each spring.